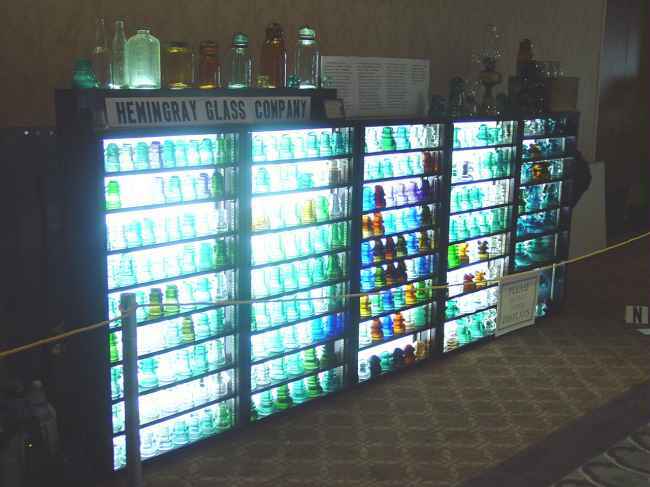 Steve is also a Nor-Cal Club member who put together this impressive display of Hemingray glass. The Hemingray glass go-withs are hard to find out here in California, so you be sure to contact him when you have one for sale. Steve is in the ICON directory.